We are known for our simple and tasty seafood platters; they come prepared, chilled and ready to eat; just put them on the table and let the feasting begin! 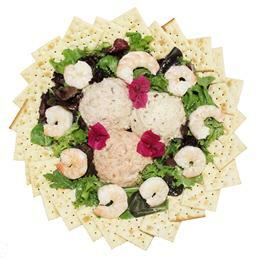 These individual platters are quite popular, and ones to choose from are: tuna platter, shrimp platter, seafood salad platter, sushi platter, and bluecrab cocktail claws platter. We also do fried chicken platters.